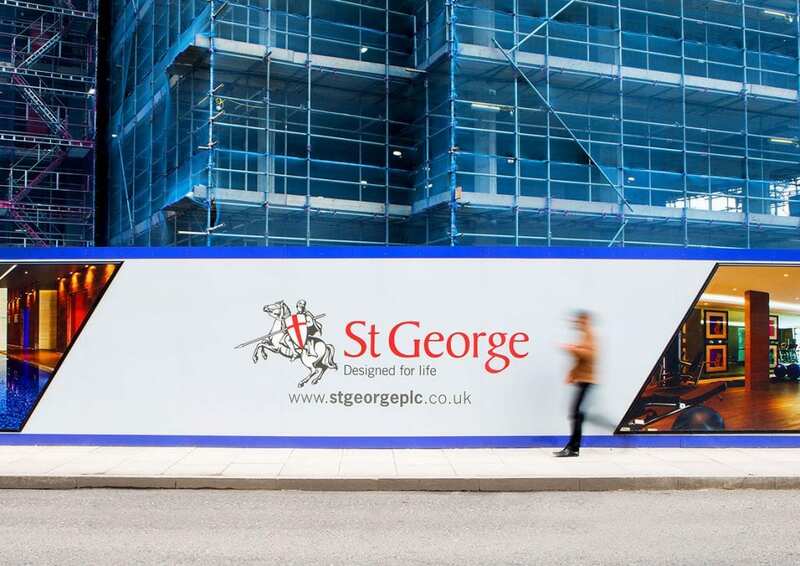 To showcase this development, we needed to supply lightboxes, with interchangeable faces and built-up illuminated lettering to make it pop-out for passers-by. 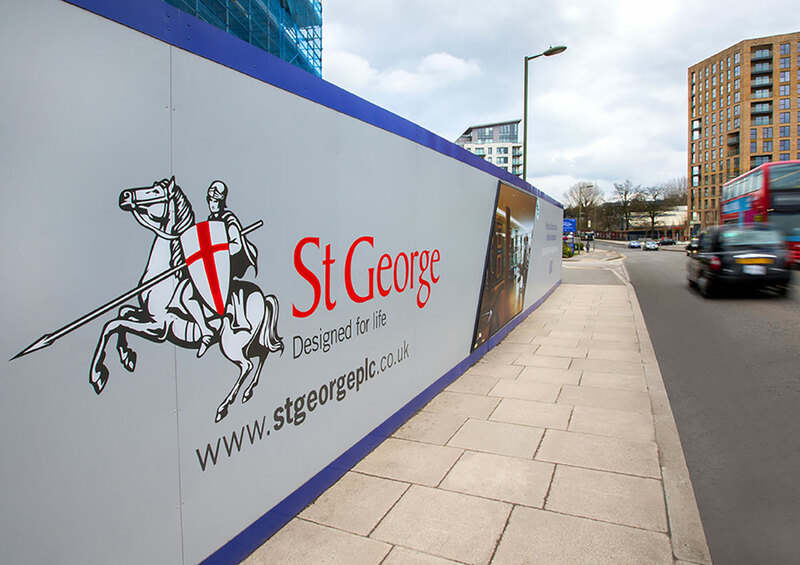 We were briefed by St George to install site hoarding at Beaufort Park in Hendon – a new mixed-use development providing a Mediterranean-style boulevard of shops, bars and restaurants as well as 2,800 homes. We were tasked with revamping the whole hoarding along Aerodrome Road; a total of 240 linear meters. 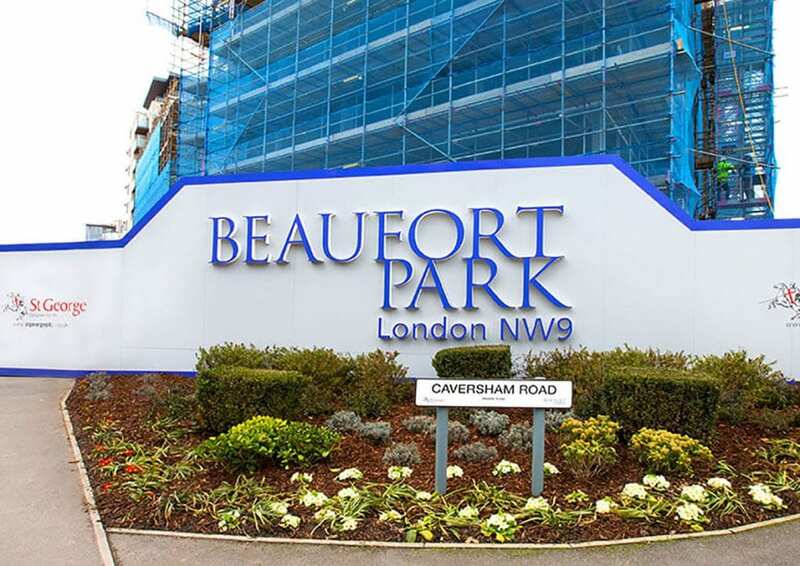 To showcase the development’s spa, gym and interiors, we needed to include lightboxes, with interchangeable faces and built-up illuminated lettering to a high-level corner section. For this project we had to think creatively. The brief was to incorporate five large (over 3.3 x 2.5 m and 5.5 x 3 m), rhombus shaped light boxes into the hoarding. This was a bit of a challenge in itself because of the weight of the lightboxes. 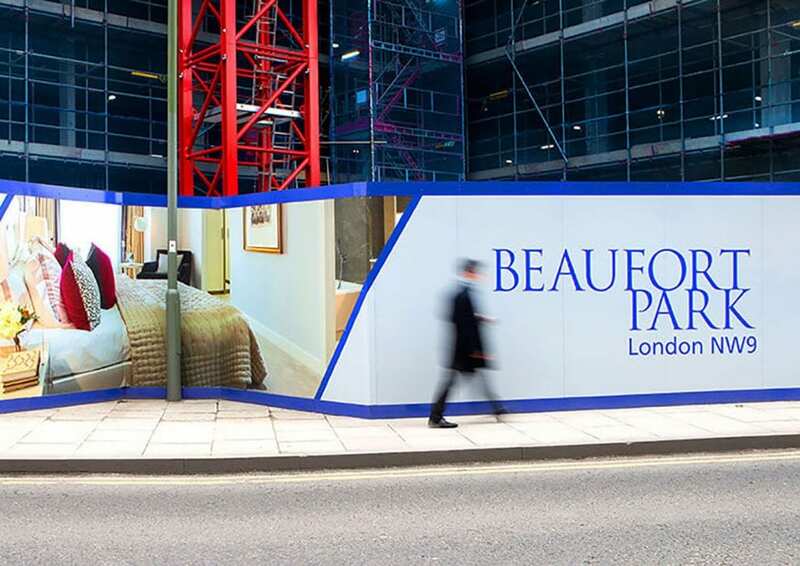 However, we also had the added complication of the proximity of the hoarding to the public footpath, meaning we couldn’t fit traditional lightboxes to the face of the hoarding. 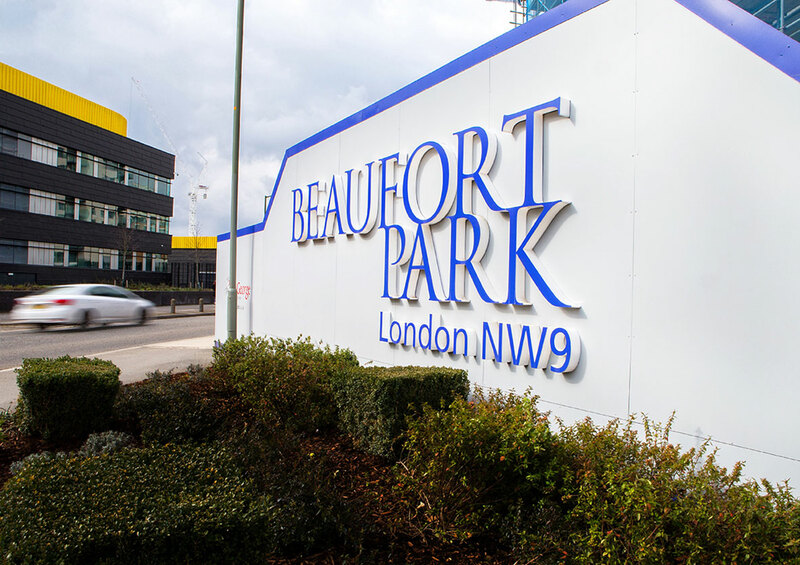 To address this, our team liaised with the site team and contractors to recess the lightboxes into the hoarding. We also ensured the hoarding would take the extra weight, without compromising its structure. We achieved the desired results with the use of shallow lightbox extrusion and printed flex face panels. This really made the development images pop-out for passers-by. The hoarding was also matt sealed, as opposed to gloss, which gives it a much more upmarket look and feel.